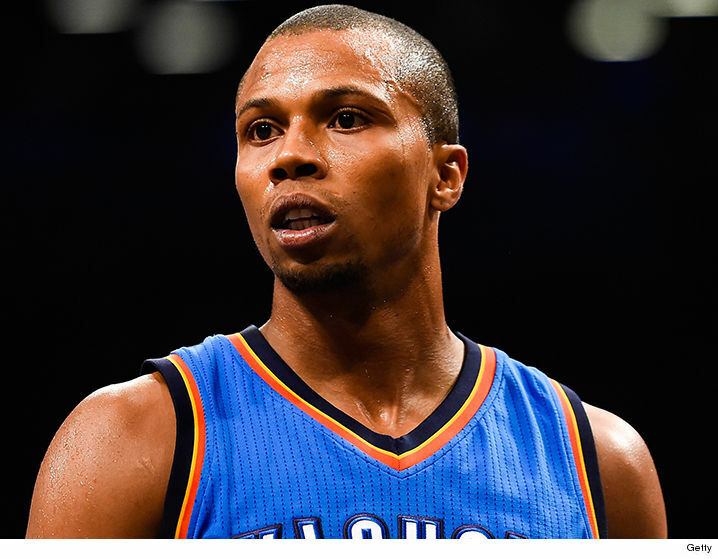 Former NBA player Sebastian Telfair was arrested this weekend with a small arsenal on him that made it seem like he was ready for military combat. 32-year-old Telfair and an 18-year-old man, Jami Thomas, were busted by Brooklyn PD Sunday while in possession of 4 firearms — 3 pistols and what appears to be a semi-automatic rifle. Cops say he was also carrying a TON of rounds for the guns, as well as marijuana. Cops also found a bullet-proof vest in their Ford pickup truck, which reportedly carried Florida plates. Officers took a photo of the weapons … it looks like Telfair and his guy were ramping up for something major with this kind of fire power. The ex-point guard played on a number of teams between 2004 and 2013 — from the Portland Trail Blazers, the Boston Celtics, the Minnesota Timberwolves, the Los Angeles Clippers, the Cleveland Cavaliers and finally to the Toronto Raptors. He ended up playing professionally in China after that. Telfair was arrested in 2007 after a loaded gun was found in his car, and pled guilty to criminal possession of a weapon.